Travellers tend not to go to airport early, as it is always deemed as a boring place. 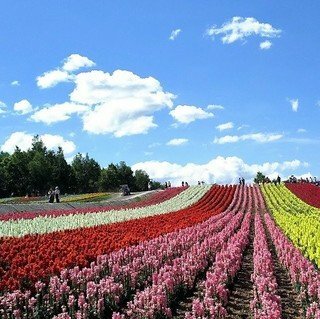 But New Chitose Airport is an exception to the rule! 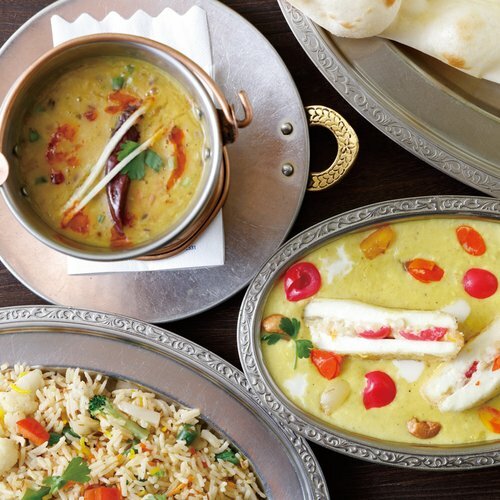 In addition to the numerous shops available in the airport for last minute souvenir shopping, there are also many tasty restaurants or some theme parks to keep you entertained. Though you have to arrive 2 hours prior to your flight departure, you will definitely not be bored shopping around New Chitose Airport. Most of the shops are hosted at the domestic terminal of New Chitose Airport. The shops and restaurants are spread across 1st to 4th floors of the building. From fresh farm products, to popular Hokkaido sweets or even meat products, there is no issues to get local Hokkaido gifts for your beloved ones at reasonable price in the airport. Free tasting is available across different shops so you are guarantee to get the best souvenior for your families and friends. New Chitose Airport Onsen is definitely the best facility offered at the airport. 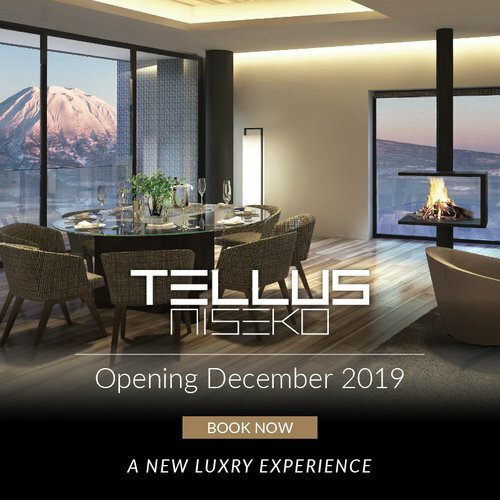 In addition to the must-have onsen, the various complimentary resting facilities such as reading room, restaurant, sauna and many more make it the perfect place for travelers who need to spend a short night at the airport. The reading room is equipped with bountiful 180-degree recline seat like the ones found in first-class flights, in which you can sleep comfortably throughuot the night if you do not feel like reading. New Chitose Airport Onsen is equipped with a mass resting area, where you can get some sleep easily before the early flight in the morning. If you feel hungry in the midnight, the restaurant is open until 2 am and you can get a bowl of ramen at just 500 JPY. The outdoor and indoor onsens remain open after 12 am, and you can easily make it a private one if you visit them at 3 or 4 am when everyone else is sleeping. 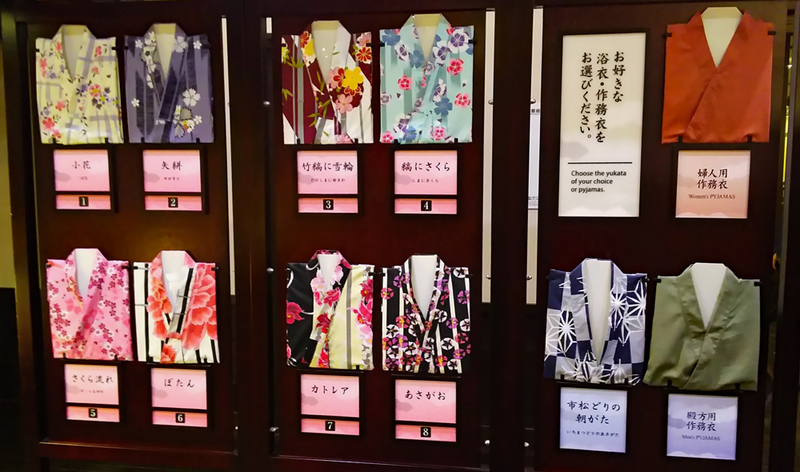 Upon registering at the front desk, you will be asked to pick a traditional Japanese yukata of your choice for the night. You can keep your bulky luggage at the front desk and keep valuable belongings inside the locker. Afterwards, you are free to head to the onsens to relax, or enjoy some ramen or soba at the restaurant. You can choose the yukata that you fancy upon entering the onsen. Ladies have more choices, but gentlemen are restricted with only the blue design at the right hand corner. Don't miss this place if you would like have a genuine Japanese experience for your overnight stay at the airport. 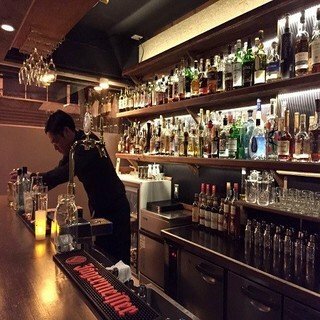 There are options like Airport Terminal Hotel or Crown Hotel near New Chitose Airport if you prefer to have a proper stay. Set Admission Fee ※The set admission fee includes bath fee, bathrobe, bath towel, face towel and facility fee. Deep Night Fee ※Deep night fee is separately charged after 1 am midnight. Guests who pay the deep night fee can enjoy free breakfast buffet. Onsen in the morning (5:00 - 8:00 am) ※Bathrobe is not included. 400 JPY per set of rental. On top of our fresh seafoods, Hokkaido is also a great place for people with a sweet tooth. 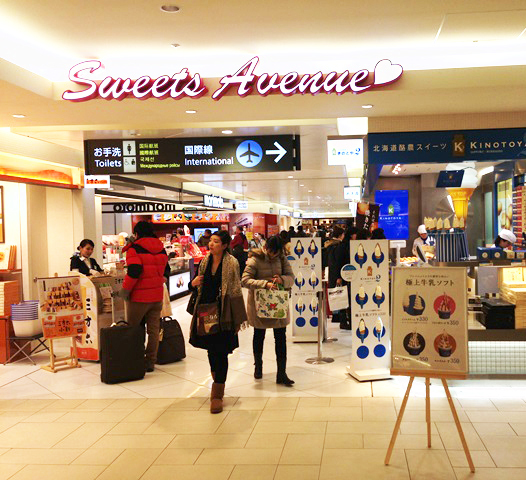 If you would like to bring back some local sweet products, head to Sweets Avenue is located on the 2nd floor in Domestic Terminal. This is an area specially-catered for desserts and sweets. The Otaru confectioner LeTao, Kitakaro (北菓楼), Kinotoya and many other sweets shops can be found here. Have you ever imagined that there is a seafood market inside the airport? Yes, you can find one here at New Chitose Airport! The whole setting of the seafood area is similar to fish market you may come by in Hokkaido. You feel as if you are shopping in one of the fish markets in town when walking around the seafood section. Sapporo Seafoods is affilitated with Sapporo Central Wholesale Market(札幌中央卸売市場水產), you can rest assured of the quality and freshness of the seafood supplied here. Some exquisite and delicious seafood products from eastern Hokkaido can also be found at the store of Kushiro Port Market (釧路港市場). 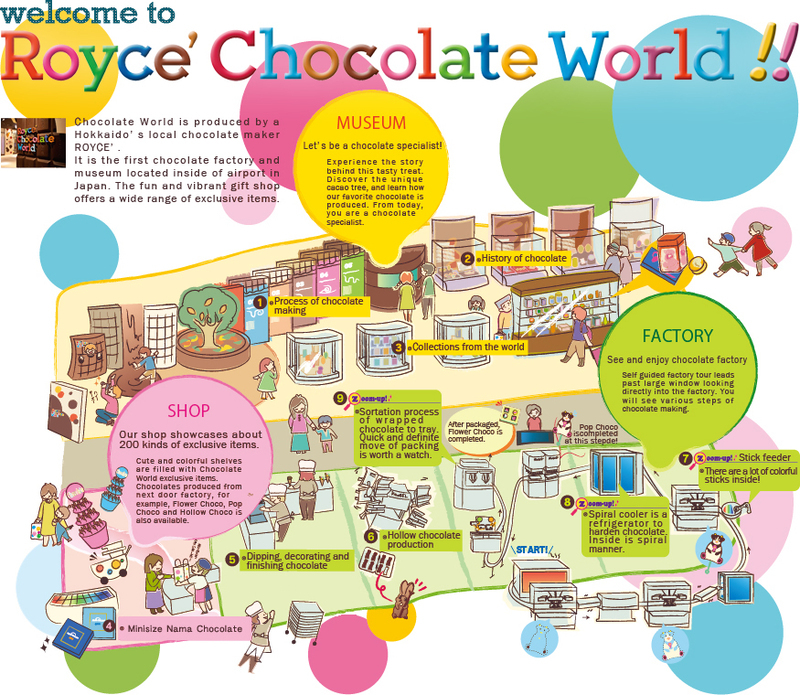 Along the connecting path between international and domestic terminals, there is Royce’ Chocolate World. This is a chocolate-themed exhibition run by Royce. You can observe the whole chocolate production process through a showcase window. Produced by Hokkaido's local chocolate manufacturer, Royce' Chocolate World is the first chocolate factory museum hosted inside an airport in Japan. The shop inside Royce' Chocolate World carries almost 200 exclusive items which are great choices for souveniors. This is surely one of the good places to keep the kids entertained in the airport. Chocolate lovers should not miss this lovely place! Doraemon is one of the popular manga characters that you will encounter everywhere in Japan. The manga series is written by Fujiko F. Fujio. Doraemon is actually a robot cat who comes from 22nd century and travels back in time to 21st century to help a pre-teen boy named Nobi Nobita. You will find Doraemon Waku Waku Sky Park located on the 3rd floor along the Connecting Passage Smile Road. This is especially a good place to keep the little ones entertained. It is free to access the Doraemon Sky Park which includes cafe, shop and a mini park for kids, except for the Park Zone. The Park Zone is modelled after some famous sceneries from the manga, such as the time-travel-machine or the playground in which Nobita always gathers with his friends. Upon entering the Park Zone, you are greeted by a giant Doraemon and can explore a number of ‘’secret facilities’’ in this area. 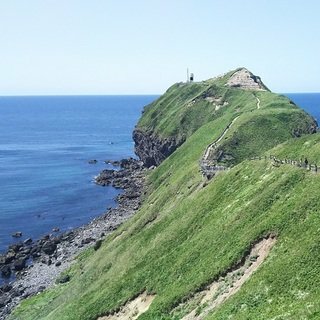 All these sceneries are familar if you have been reading Doraemon manga since young. This is Doraemon, the robot cat that time travels from 22nd century to 21st century. 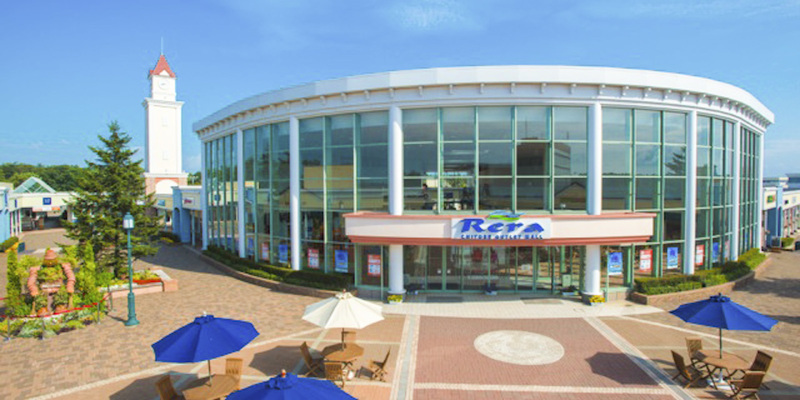 If shopping inside the airport is not enough for you, head to Rera Chitose Outlet Mall which is only 10 minutes away. Free shuttle bus service connecting the airport and outlet is available daily at about every 30 minutes interval. Hosting approximately 140 shops with over 400 brands, Rera Chitose Outlet Mall is the largest scale open outlet-mall found in Hokkaido. Brands available range from high-end options such as Coach or Gucci, to other more affordable choices like Columbia and Adidas are available. 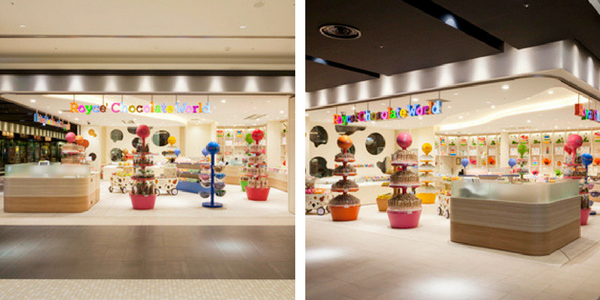 Shops cater for young children such as Borne Lund, Lego ClickBrick or MikiHouse can also be found inside the outlet. Be sure to download some discount coupons before heading there for shopping! 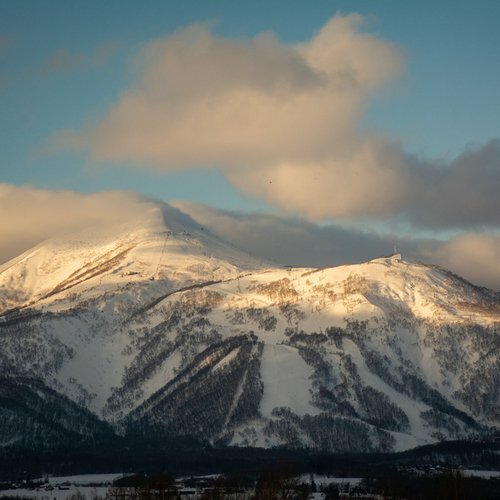 It takes approximately 2.5 to 3 hours to reach New Chitose Airport from Niseko, depending on the road conditions. Spending two hours in the airport is definitely not an issue, with the wide range of theme parks, shops and restaurants available. If you fancy of visting Rera Outlet Mall, be sure to arrive the airport at least 3 hours in advance to give yourself ample time to enjoy the last minute shopping! 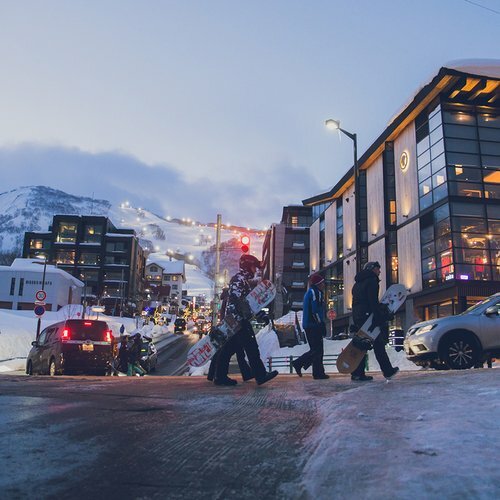 Do not hestitate to contact Vacation Niseko's friendly reservation staff if you need any assistance for your airport transfer!